Meet Our Instructors: Sherry Cummings – TAM Card® Nation in Vegas! You can tell a lot about a company by the people that work there, and here at TAM® of Nevada we have an amazing set of knowledgeable, professional, and fun instructors. Whether you complete your TAM® training online or in the classroom, you can expect to meet some of our staff members. We’d like to introduce you to our staff in a new blog segment: Meet Our Instructors. I had the opportunity to interview each of our instructors, and this is a great bunch. Let’s kick off this week by getting to know our General Manager and TAM Instructor, Sherry Cummings. 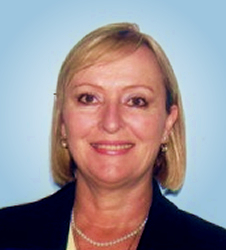 Originally from New Jersey, Sherry has lived and traveled extensively throughout the USA, Mexico and the Caribbean. Hotel marketing in Mexico led her to owning multiple restaurants in Puerto Vallarta. Sherry’s later tenure as Food & Beverage Manager at Pegasus, a Mobile Four Star dining room inspired her to explore and hone her service skills, food knowledge and wine expertise. The Court of Master Sommeliers certified Sherry and she continues to attend sommelier seminars and training programs. Sherry attended the Sterling School of Hospitality and was also certified by London’s Wine & Spirit Trust. Later, Sherry worked at the Rio Hotel & Casino, Gatsby’s at the MGM and Southern Wine and Spirits in a variety of roles alongside wine directors, sommeliers and chefs up and down the strip! Now, Sherry brings her unique experience to the classroom and is in a fantastic position to teach responsible beverage service based on real-world examples. If you’d like to attend a TAM Class taught by Sherry, register for a class on our website. The schedule varies by week, but you can normally find Sherry teaching students on Mondays and Wednesdays at 2:00pm. Next March Madness is Here. Are You Ready for the Crowds?